Applying metrics to your library collection is an essential part of monitoring the return on investment you are getting from those materials, and provides a measure of the overall value of your collection to your library patrons. We acknowledge that not all libraries make use of the full set of metrics available, but as library budgets are squeezed against rising costs of materials, we strongly believe that evidence-based decisions will be a necessity when justifying library spend. We also know that all libraries have very individual ways of collection building, and are not always just looking for the most popular content. 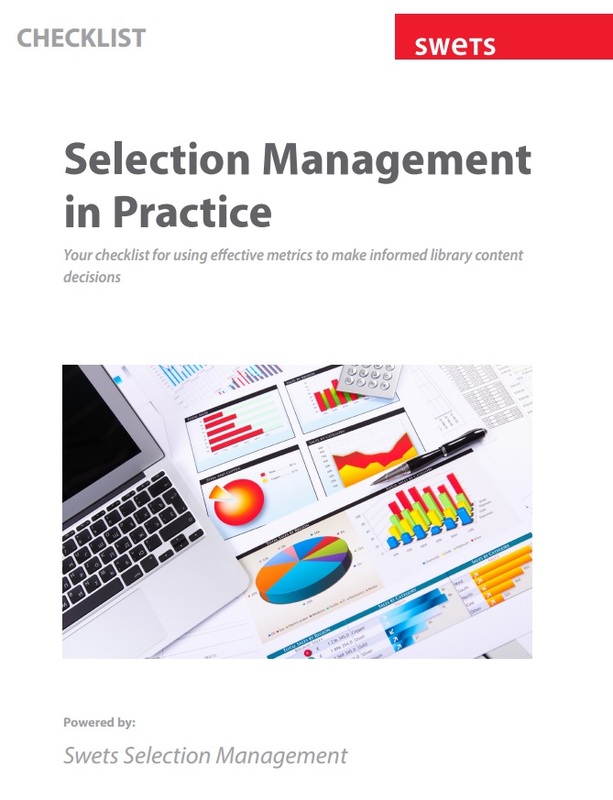 However, we hope that collections of any size will benefit from the use of metrics to ascertain their value, make better decisions on which content to include, and justify budgetary spend to purse string holders.We have therefore put together a list of common, and some uncommon, metrics that can be used to add quantitative evidence to your library collection decisions, particularly useful when looking at renewals, cancellations and promotion of content. Keep this checklist handy when you start to evaluate your collection.